At King Estate Agents we believe in putting our customers’ needs first, our dedicated and passionate approach means we deliver the highest level of Customer service. We offer clear, honest advice to anyone looking to buy or sell a property, making the moving process as easy as possible. Our belief is that high quality marketing and clear communication will help you achieve the best possible price for your property. We've recently sold our house through King Estate Agents and could not have been happier with the service we received. Honest genuine advice from Tom from the first meeting, house sold within days of going on the market and Amelia was such a great support helping us through what became a tricky situation with the house we were buying....they went above and beyond. In the process we dealt with several other estate agents who unfortunately lived up to their reputation....we trusted all at Kings and really valued their honest no pressure approach. Thanks guys! Absolutely brilliant estate agent, from start to completion. Tom was happy to tweak our property ad, change photos and wording, without complaint. We needed a plumber to complete work before going on the market and Tom sorted that out there and then. We received regular updates, even when the update was 'nothing's happened yet', and advice on what we should do to get the sale. Every viewing was accompanied. It was once we had a buyer that the service really came into our own. We had a long chain that was both looking to complete quickly and had issues cropping up at every link. Tom worked incredibly hard to wrangle the chain to exchange of contracts and I have no doubt that the chain would have collapsed three times over if it wasn't for him. Tom came up with ideas and solutions at every turn and was exceptionally professional throughout. I would go out of my way to use King again next time we move! I have had the best customer service and the most confidence in King Estate Agents in Furzton. I can hand on heart say that Tom, Amelia, Franci and Anthony have been brilliant and I cannot recommend them highly enough. In particular Amelia kept me regularly and comprehensively updated throughout the whole sale process. Having bought and sold properties with multiple agents in the past, I can genuinely say this is the best service I have received. Thank you Tom, Amelia and the team. We were referred to Tom King when we had to sell the house of my wife's recently deceased father. We live abroad so were worried about not being able to be actively involved in the process of the sale. Tom provided a level of service which was exceptional, and enabled us to achieve the sale. He did everything that we asked, and that he said he would do, was always ahead of the process and kept us fully informed and briefed without us ever needing to chase him. He also helped us in a number of things that were outside of the normal remit for an agent, for example arranging and overseeing the house clearance, and declined my offer to add in an administative cost, saying it was all part of the service! We will be putting our own house on the market later this year and will unhesitatingly return to King Estate Agents to let them sell it for us. This agent rates very highly with me. In Milton Keynes the competition is hard for estate agents. I can highly recommend Kings Estate agent. Their customer service is second to none that I have come across in the last 25 years. They are on the ball at all times. The glossies and web info was spot on and very professional. Each potential customer visit was accompanied, all 27 of them! They found the right buyer within 2 months and at a price very close to the original estimate. Once the offer was accepted the attention to detail was impressive. Each time I rang up to get an update, Amelia had already made the enquiries and received replies to provide the update! No chasing was needed. As I said, on the ball from start to finish. Must also mention that phone calls to the office were always efficient, polite and dealt with professionally . Excellent team work. Would highly recommend. Tom started King Estate Agents is 2013, with the belief and knowledge that he could offer a superior service to people moving home across Milton Keynes. He started in the industry in 2006 and worked his way up from a trainee to becoming the top manager in the country for the largest national estate agency, before deciding to start his own company. 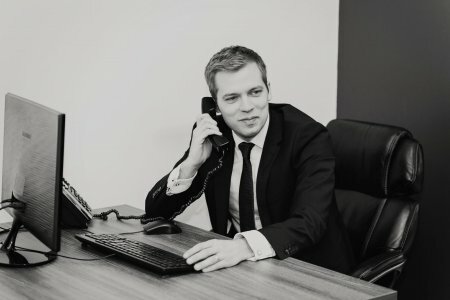 Tom has a real passion for the job, and thoroughly enjoys dealing with all aspects of estate agency. King Estate agents were recently awarded a gold award for Southern England, realising there ambition to be recognised as the number one estate agency for looking after their customers. Amelia is the co-owner of King Estate Agents, with her husband Tom. Amelia is a highly motivated individual, her dedicated and passionate approach means all customers receive an excellent service. As well as managing the business, she currently progresses sales from offer stage through to completion, making a potentially stressful time, as easy as possible for our clients. Amelia has been in estate agency for many years has built up a wealth of knowledge for all aspects of the property industry. Anthony was King Estate Agents first recruit back in 2016, he has now progressed to a Senior Sales Negotiator position and is an integral part of the team. His friendly and honest approach has made him a hit with both buyers and sellers and he is dedicated to making the moving process an enjoyable one. Anthony has recently bought his first home and has appeared on Channel 4 offering advice to other first time buyers. 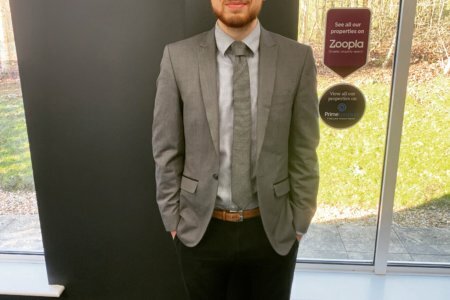 Sam started with King Estate Agents in 2018 and is fast learning all aspects within the property industry. Sam is keen to build a career in property, and is thoroughly enjoying his role as a sales negotiator. He works hard to understand his buyers needs, and his determined approach to trying to match them with a suitable property, has led to lots of sales already. 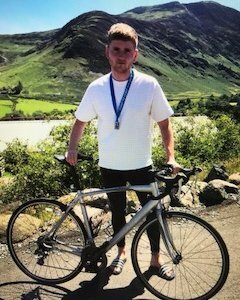 Outside of Estate Agency Sam enjoys cycling, and has recently completed the Coast to Coast bike ride covering 150 miles all for charity. Sally is our Lettings Manager and handles the day to day running's of the rental business. With years of industry experience Sally has run successful lettings offices in Milton Keynes and has now decided to join the King team and we are delighted to have her working with us. When she is not busy dealing with landlords and tenants, Sally enjoys spending time with her grandchildren and family. Paul is an experienced, successful, mortgage broker, his knowledge of lenders and their criteria is wide-ranging and works hard to ensure his knowledge base is up-to-date, in an ever-changing marketplace. As an independent broker he has access to many different lenders and will work hard to find you the best rates in the current market.